Starz, a Lionsgate company (NYSE: LGF.A, LGF.B), announced today that submissions are being accepted from U.S. students for the opportunity to win a $25,000 scholarship from the “Share Your Voice” spoken word contest in conjunction with the new STARZ Original series “America to Me,” debuting Sunday, August 26 at 10 PM ET/PT. The 10-part documentary series from Emmy Award®-winning and Oscar®-nominated filmmaker Steve James and Participant Media highlights the power of spoken word and the contest challenges students ages 14 to 19 to answer the question, “What does America mean to me?” in a 60-second original spoken word video. Entry submissions are being accepted through October 7 via Instagram or Twitter using #AmericatoMeContest and #STARZ hashtags or by uploading it to www.AmericaToMe.com. An esteemed panel of judges will select the top five finalists whose videos will be posted on AmericatoMe.com on October 14, giving America the opportunity to vote and select a winner through October 22. 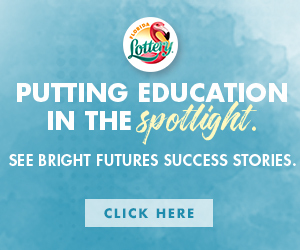 The winner of the $25,000 scholarship will be announced on October 28. 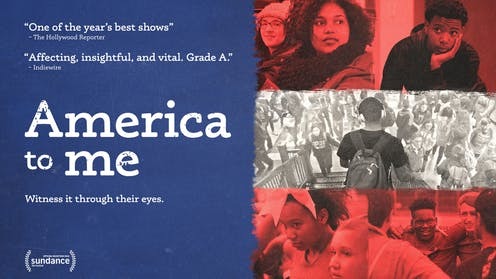 “America to Me” follows students, teachers and administrators in suburban Chicago’s Oak Park and River Forest High School, one of the country’s highest performing and diverse public schools, over the course of a year, as they grapple with decades-long racial and educational inequities — in addition to the challenges that today’s teenagers face. Digging deep into the experiences of a racially diverse student population, “America to Me” sparks candid conversations about what has succeeded and what has failed in the quest to achieve racial equity and overcome obstacles in America’s education system. James captures critical moments within this vibrant high-school ecosystem with students who share their confessionals of how their American experience has been. “America to Me” made its world premiere with the first five episodes at the 2018 Sundance Film Festival in the new “Indie Episodic” category. Episodes were also previewed at Full Frame and AFI DOCS. The “Share Your Voice” contest is an extension of Starz and Participant Media’s social impact campaign partnership designed to encourage candid conversations about racial equality. Together, they joined forces to create a downloadable Community Conversation Toolkit and, alongside the release of each new episode, the campaign will host a high-profile screening event in one city across the country. Over the course of the 10 weeks, these events will seed a timely national dialogue anchored by the series, and kick off activities across the country to inspire students, teachers, parents and community leaders to develop local initiatives that address inequities in their own communities. Join the conversation at http://www.participant.com/AmericaToMe.